In the vaults beneath Copenhagen’s centuries-old King Christian IV’s brewhouse lies the Lapidarium of Kings (Kongernes Lapidarium). Housing hundreds of royal sculptures, statues, and monuments amassed from all around the country, the collection serves as an impressive homage to Denmark’s royal history. The Lapidarium of Kings displays almost 400 sculptures and busts of monarchs, mythological gods, and legendary heroes from Denmark’s castles and gardens. You can explore the collection on a guided or self-guided tour. Entrance is free for holders of the Copenhagen card. The Lapidarium of Kings is a must for history buffs and fans of royal art. The lapidarium is accessible to wheelchair users. 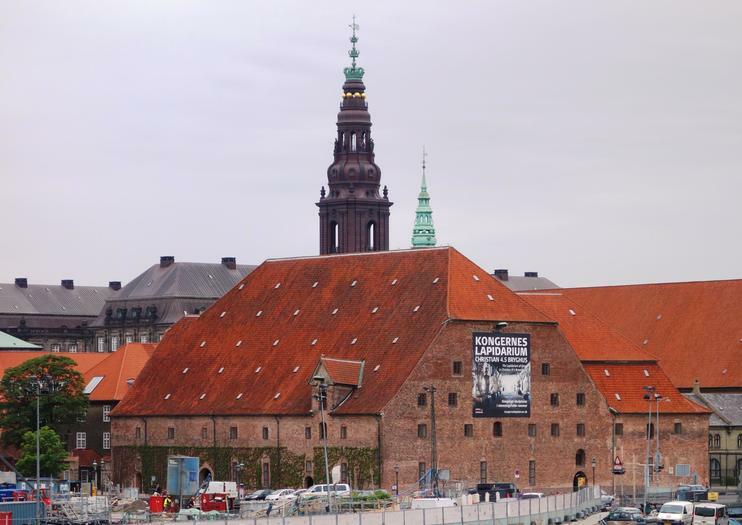 The Lapidarium of Kings is located in the vaulted cellars of the King Christian IV’s brewery on Slotsholmen Island in central Copenhagen. The nearest metro station is Kongens Nytorv. The Lapidarium of Kings is open only 12pm to 4pm from June through August, and for two weeks in October. It is closed on Mondays. Gathered from royal palaces and gardens around Denmark, including Amalienborg, Fredensborg, and Rosenborg, highlights of the Lapidarium include the plaster version of French sculptor Jacques Saly’s mammoth 18th-century equestrian statue of King Frederik V, which stands in the square outside the Amalienborg palaces, and a series of charming fishermen and farmers sculpted by amateur artist Jørgen Christensen Garnaas between 1764 and 1784. Also of note are two monumental statues of elegant women dressed in Classical Greek style by sculptor Johannes Wiedewelt and an energy-filled depiction of Hercules fighting the Nemean Lion, which King Frederick IV imported from Italy in 1709.